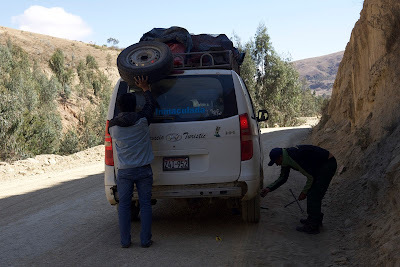 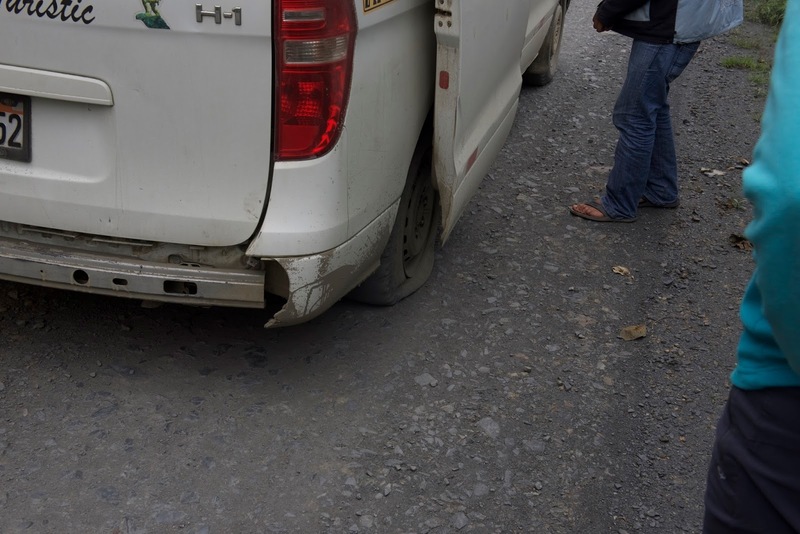 On our 10 hours trip from Cusco to Manu we had flat tires twice. 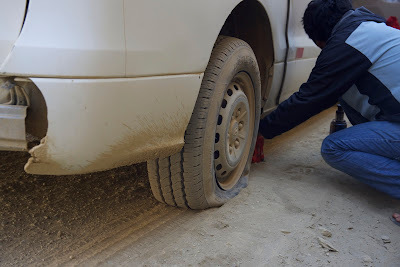 Never seen the removal of tires so quickly. 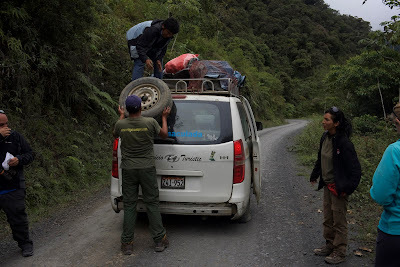 Between Cusco and Manu National Park, Peru, October 2015.